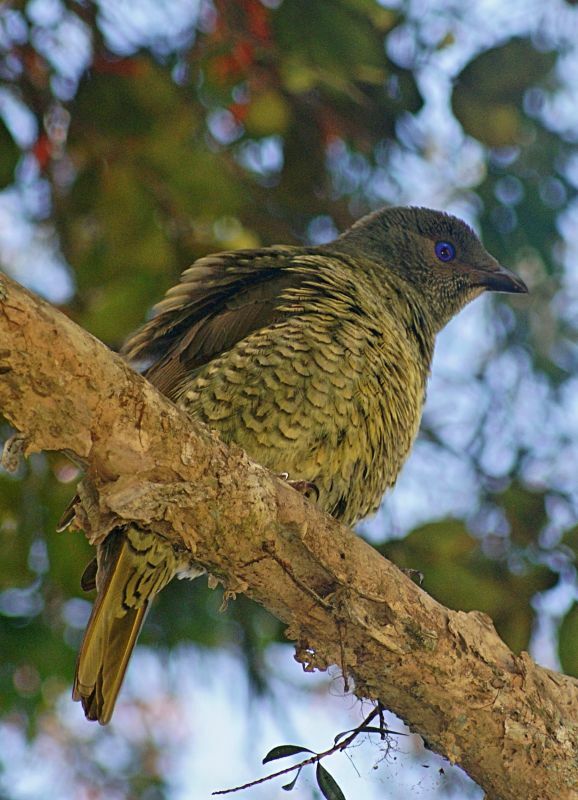 The Satin Bowerbird is fairly common along the eastern coast of Australia and is well-known for the male building a display house (bower) and filling it with brightly-coloured objects in order to attract females. The males have blue-black plumage (which they take seven years to attain) and pale bills, while the females and young males are green and brown. This bird is an adult female, which can be told by the blue eyes - juveniles have brown eyes. The males make a wide variety of calls, including mimicry of other birds. They are 27-33 cm in length. 1: Glouceter Tops, NSW, 27/11/2010.